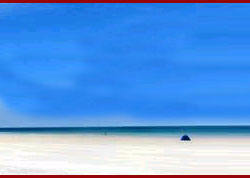 The best place to begin a tour of Andhra Pradesh is Hyderabad, the capital. Hyderabad is very well - connected by air, rail and road to all major cities of India. 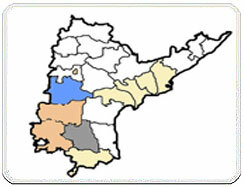 The other major cities of the state are Secunderabad, Visakhapatnam, Waltair and Vijayawada. An efficient road and rail network connects every district to the state capital. Only Hyderabad, Visakhapatnam, Rajahmundry, Vijayawada and Tirupati are airlinked. Andhra Pradesh has had its name changed many times. Emperor Ashoka called it 'The Land of the Andhras' the 'Satvahana' kings who were liberal and secular rulers and invited different religious people into the state ruled it. During Ashoka's rule, the state of Andhra Pradesh was a major Buddhist center. Around that time, the capital of the area was Amravati, where one can still find traces of the great artistic skills of the builders and artisans of the time. In the 7th century, the Chalukya kings ruled over the state. They ruled for about 300 years and lost power around the 10th century AD to the Chola kings, who came invading from the south. Then, around the 13th century, the Kakatiyas came into power. They ruled from Warangal, which is situated in the North East of Hyderabad. Around this time, Sultans, who tried their luck over Andhra, were ruling Delhi. 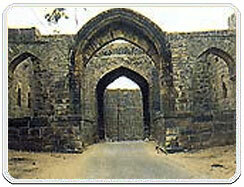 However, they could not get a foothold until 1323 AD, when Warangal was captured by Mohammad Bin Tughlag's army. But soon, the Hindus removed them from power. For the next 200 years, Andhra was popularly known as a part of the Vijayanagar Empire. These years saw many skirmishes between the Hindus and Muslims. Finally, in the 2nd half of the 16th century, the Vijaynagar Empire was removed after a crushing defeat at the Battle of Talikota and over a period of time, the Qutub Shahi Kings established themselves at Hyderabad. These kings are known for building the strong stone fortress of Golconda. Nearby are the impressive tombs of these Kings. At the end of the 17th century, this dynasty came to an end, when Andhra was taken over by a General of Aurangzeb. This general's successors came to be known as the Nizams of Hyderabad and took over after Aurangzeb's death. They ruled even after the Indian Independence of 1947. During the 18th century, the French and British immigrants spread their influence. They made an alliance with the then Nizam of Hyderabad, around the end of the 18th century. The Nizam gave the British, the right to trade as well as political control over the coastal areas of his province. This helped him retain a certain kind of independence right through 1947. After Independence, the Nizam wanted to join Pakistan or keep an independent state, but in 1948, when the country was in deep chaos, the Indian Government took direct control of the state. During the rule of the Nizams of Hyderabad the entire state became poorer and poorer, while the personal wealth of the Nizams increased. The last Nizam of Hyderabad was known as the richest man in the world. He had around 11,000 servants and more than half of his palace was used to store gold and jewellery. His paperweights were diamonds, the size of eggs, though he himself was quite a miser. During the rule of these Nizams, Hyderabad changed from the rest of the state and developed its own distinct manners, language and accents, cuisine, as well as crafts and festivals. Hyderabad, the capital of the state was built by Sultan Quli Qutb Shah for his Hindu wife 'Bhagwati'. He called it 'Bhagyanagar'. Later, he bestowed upon his wife the title of 'Hyder Mahal' and in this way Hyderabad got its name. Today, Andhra Pradesh is an 'integral part of India, and is fast developing to become the forerunner in the field of Information Technology. Andhra Pradesh is one of the first states in India which was formed only on the linguistic basis. After India's independence, the andhras, that is, the Telugu-speaking people (although Urdu is widely spoken in Hyderabad) were distributed in about 21 districts. Out of them 9 were in the Nizam's Dominions and 12 in the Madras Presidency. But after an agitation, on October 1, 1953, 11 districts of the Madras State were consolidated to form a new andhra State with Kurnool as capital. Later, on November 1, 1956 the State Reorganization Commission recommended to enlarge the andhra State by adding nine districts which were in the Nizam's Dominion. The city of Hyderabad, became the capital of the enlarged Andhra Pradesh, which was also the capital of the Nizam. Andhra Pradesh state (2001 provisional pop. 75,727,541), 106,052 sq mi (275,608 sq km), SE India, on the Bay of Bengal. The state was created in 1956 from the Telugu-speaking portions of Madras and Hyderabad states. Although the interior is mountainous, Andhra Pradesh is largely on a coastal plain drained by the Penner, Krishna, and Godavari rivers. Rice, sugarcane, peanuts, and cotton are raised; coal, chrome, and manganese are mined. India's largest shipyard is located in Vishakhapatnam, and a satellite launch center is on Sriharikota Island. 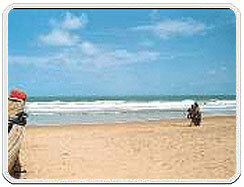 Summer season lasts from March to May with temperatures ranging from 20 to 40 degrees centigrade. June to December is monsoon time and the weather remains hot and sultry. Winters are pleasant and last from October to February with temperatures varying from 13 to 32 degree centigrade. Roughly, it can be said that rainfall is highest in the north and along the seaboard, varying between 40 and 45 inches, diminishing as one travels westward to 35, then 30, then 25, and finally to 20 inches in the south-western districts. The Southwest monsoons play a major role in determining the climate of the state. Two-thirds of the state's rainfall is derived from the South West monsoon. Chittoor and Nellore districts experience the Northeastern monsoon that account for about one-third of the total rainfall in Andhra Pradesh. In coastal areas rainfall is heavy; in some areas on the plateau especially in the north and west, it is sparse. Most of the region gets the oncoming monsoon rains from June to September, but the retreating monsoons around October-December bless the extreme south. The coastal regions are subjected to storms and cyclones in November-December. Telugu, Urdu, Hindi, Banjara, and English followed by Tamil, Kannada, Marathi and Oriya. Teluguis a richly developed language and the biggest linguistic unit in India, second only to Hindi. Linguistically, the language has deviated a good deal from its southern sisters - Kannada, Tamil and Malayalam. It's an old one too, with origins as early as the 1st century AD, or perhaps even before as one of the later Vedas (700BC) mention the Andhras, another name for the people of Andhra Pradesh. Early inscriptions of the language date from around the 6th century, but a proper literary career starts five centuries later. The script, almost similar to that of Kannada, took shape in 1000AD from the Pahlava script of 7AD. Most literatures began with translations from Sanskrit. So did Telugu with Nannayabhatta (1020AD), the adikavi or 'first poet' of Telugutranslating the Mahabharata.It was a unusual translation, with lots of clever innovations but no deviations from the story. But Nannayabhatta couldn't complete the job. Tikanna came along sometime in the 13th century and furthered it. However, it was Yerrapragada (14th century) was finally able to clinch it. Nannaya, Tikanna and Yerrapragada are known as the kavitraya or 'the three great poets' of Telugufor this mammoth effort. Other such translations followed, like Marana's Markandeya Purana, Ketana's Dasakumara Charita, Yerrana's Harivamsa and others. Shaivite (in praise of Shiva) works like Sivatattwa Sara, Basavapurana and Panditaradhya Charitra were a part of this initial stash too. By Air: The Begampet airport is situated 8 km north of Abids. This airport is the nearest from the capital city of Hyderabad. It is well connected to most major Indian cities and some cities in abroad. Other important airports of the state include Tirupati, Vijaywada, and Vishakapatnam. By Rail: There are three railway stations here - Hyderabad or Nampally, Secunderabad and Kacheguda. Secunderabad is the main station from where one can get trains to all major towns/cities of the country. By Road: The several bus stands in Hyderabad, the main one is the Andhra Pradesh State Road Transport Corporation (APSRTC) Hyderabad/Imlibun complex at Gowliguda.